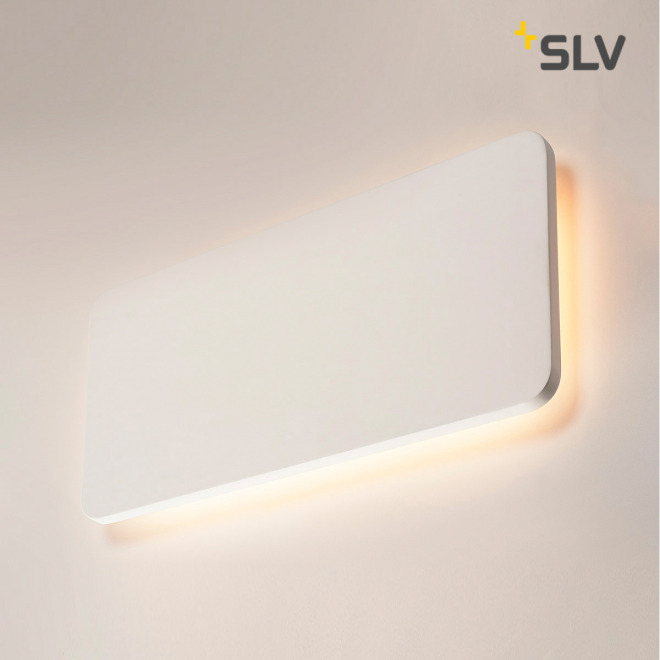 The LED wall light Plastra from SLV with its round body, which can be mounted directly on the wall, is a real eye-catcher. The white gypsum wall light is equipped with a powerful LED strip. The LEDs installed on them have a colour temperature of 3000 K and a CRI of over 80 and emit an indirect, glare-free light due to the design of the LED wall light. 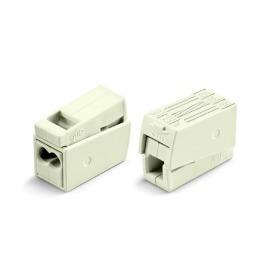 Thanks to an integrated LED driver, the plaster luminaire is ready for direct connection to 230V mains voltage. The special feature of the PLASTRA wall lamp is that it can be individualised with colours, wallpapers and stickers. This makes the rectangular designer wall light perfect for living rooms, hotel rooms, foyers, lobbies or restaurants. In our extensive product range you will find not only further variants from the PLASTRA series but also many other different SLV luminaires in various shapes and colours. The German company, which was founded in 1979, is one of the global players and with more than 600 employees in 38 countries offers innovative lighting solutions in the fields of residential, outdoor and object lighting as well as office, catering, exhibition stand construction and shop fitting.